Seattle Mariners general manager Jerry Dipoto made perhaps the most significant move of the 2018 Major League Baseball season to date, acquiring All-Star closer Alex Colome and veteran outfielder Denard Span from the Tampa Bay Rays on Friday in exchange for a pair of minor league right-handers, Andrew Moore and Tommy Romero. It was the ninth deal Dipoto made with Tampa Bay since he joined the Mariners on Sept. 28, 2015. The Mariners entered the weekend with a 30-20 record, 2 1/2 games ahead (yes, ahead) of the Los Angeles Angels for the American League’s second and final wild-card berth. This despite six starting position players having spent time on the disabled list, plus the 80-game suspension of All-Star second baseman Robinson Cano for violating Major League Baseball’s policy on performance-enhancing drugs. Mariners manager Scott Servais said Friday’s trade should bolster the clubhouse. 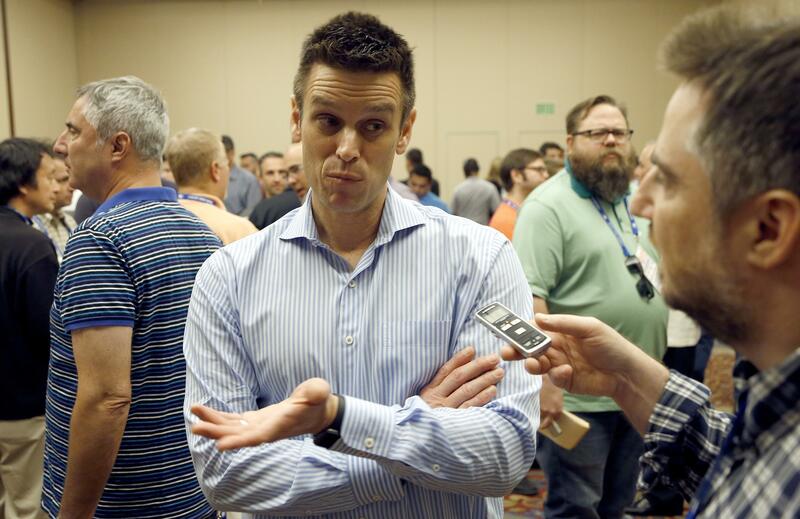 Dipoto indicated the Mariners could use Colome, a 29-year-old right-hander who led the A.L. with 47 saves last season, in a jack-of-all-innings manner similar to how the Cleveland Indians employ Andrew Miller. In 23 appearances this season, Colome is 2-5 with a 4.15 ERA and 11 saves. Servais said Span will spend most of his time in left field, which means Ben Gamel will move into a backup role. Span, 34, is batting .238 with four home runs and 28 RBIs in 43 games, with six stolen bases and a .364 on-base percentage. The Mariners are attempting to end the longest postseason drought in the four major professional sports. They haven’t been to the playoffs since 2001 – the rookie season of recently semiretired Ichiro Suzuki. Trader Jerry’s latest move showed they’re serious about ending that drought. Felix Hernandez allowed four runs in Thursday’s start in Oakland, all in the first inning, as the M’s had their five-game winning streak snapped with a 4-3 defeat. King Felix has been more like the court jester in the opening inning this season, with a woeful 12.27 ERA. Root Sports Northwest analyst Bill Krueger, a former Mariners pitcher, said Hernandez might need to take his bullpen sessions between starts more seriously. Studio host Angie Mentink suggested the M’s might follow the Rays’ lead and start a reliever for an inning or two, but Krueger and Servais shook off that idea. The reason? Servais said he thought the strategy would be difficult for a team with a veteran starting staff that’s used to a routine. Dee Gordon hardly had time to get reacclimated to second base before he went on the 10-day disabled list with a broken right big toe. But the former Gold Glove Award winner at second, who was converted into a center fielder after the Mariners acquired him in the offseason, took some grounders before Friday’s game and might be back Thursday when he’s eligible to come off the DL. After wrapping up their series against Minnesota on Sunday, the Mariners have four games against Texas and three against Tampa Bay, all at Safeco Field. That’s a 10-game homestand against opponents with sub-.500 records, which means it’s time to make hay. Published: May 26, 2018, 5:41 p.m. Updated: May 27, 2018, 6:55 p.m.